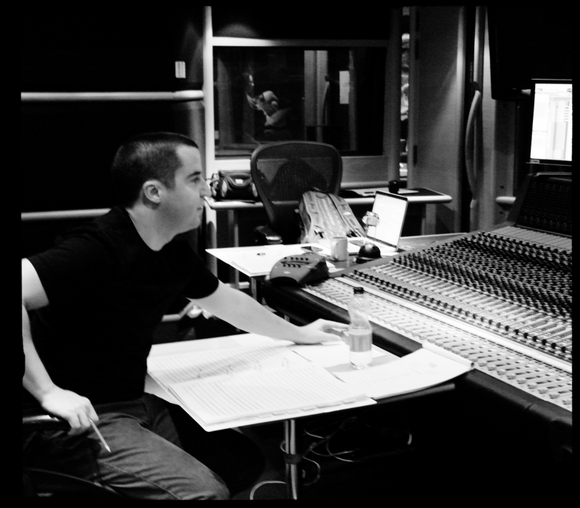 SANTA MONICA, California – Composer and Producer Nick Murray has had his music featured on numerous television shows and movie trailers, including Angels & Demons, Harry Potter and the Deathly Hallows Part 1, Looper and most recently The Lone Ranger. Murray is currently the CEO, Founder, and Executive Producer at switch., an artist driven trailer music production company based in Santa Monica, CA. Murray started on HARMAN’s Lexicon PCM 91 rack-mounted unit about five years ago and has since upgraded to the Lexicon PCM Total Bundle reverb/effects plug-in. Murray’s company, switch., just finished their fifth album, entitled “Synthetica,” that is meant for horror movie trailers. His composing style relies heavily on production, taking simple sounds and turning them into something unique that no one has heard before. “To achieve this I am constantly on the hunt for the latest production plug-ins and tools,” said Murray. The debate between hardware and software plugins, Murray believes, is dead. He loves the ability to have the hands-on feel of physically turning knobs on hardware, yet, he feels that hardware is a thing of the past and plug-ins are the future. As composers today have grown into producers, mix engineers, editors, and writers as well, they need quality sound that does not slow them down or impede the creative process. Commenting on his choice of Lexicon over other plug-ins available, Murray said, “For me it’s about versatility. Lexicon is a legendary company in the professional audio world. As new companies pop up, I often explore those as well, but going back to tried and true sounds is what often sounds best. Having both options suits me best. I like how I know what it’s going to sound like. It’s an old friend that I can rely on!” “We are lucky to work with someone of Nick’s caliber. It truly shows the versatility of our plug-ins when an artist can go from movie work to making a fantastic record using one software suite,” added Noel Larson, Market Manager for Recording, Tour and Portable PA at HARMAN Signal Processing.